Valcato VIP is our way of saying thank-you, for being you! Here at Valcato Internet, we’ve been providing an award-winning, world class hosting service since 2002. From small beginnings as a part-time bedroom operation, to the present day with our own enterprise hardware in locations around the world, hosting clients on 5 continents, we like to think that along the way we’ve stayed true to our original aim of providing a simple, honest and great value solution to clients, with a friendly and personal touch. We’re proud of how long our lovely clients stick around once they find us, and we’re equally proud of how many of their friends, family, colleagues and co-workers they recommend us to. 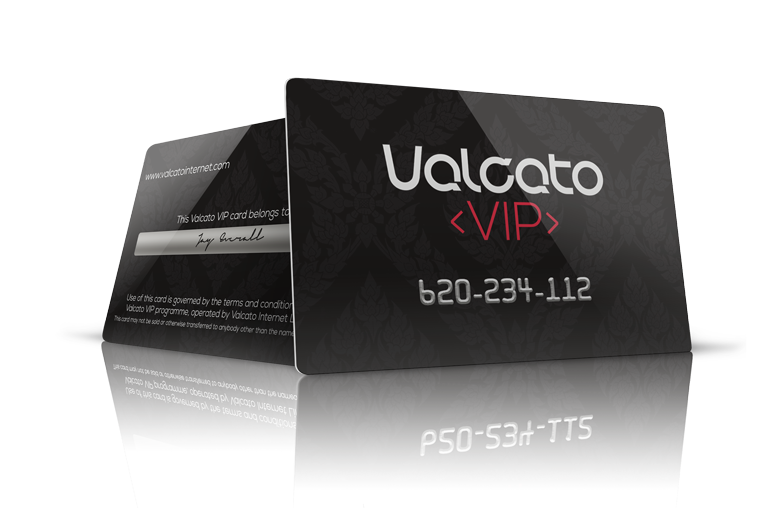 That’s why we launched Valcato VIP, it’s our way of saying thank-you. From exclusive discounts and upgrades to special events for our VIP members, it’s all about giving something back to say thanks for just being you, and for being a valued customer.